Helping you make connections in any language. We provide quality translation services in all major languages in areas such as Desktop Publishing, Software Localisation and more. We have years of experience of providing translation services to a spectrum of sectors such as Technology, Automotive, Life Science and many more. We are a team of translation industry veterans who have come together to provide a multilingual translation service that is focused on quality at a lower cost. Find out more about us. Maybe it’s time to take a fresh look at translation in your business. Do you currently have a translation service provider? If you do, are you satisfied that you are getting the best return on your translation investment? If you are new to translation, is there an opportunity for you to access new customers by making your product available to additional markets. Maybe you would like to take a look at what we could do for you? We are a team who listens to you, we seek to understand what your needs are, and above all deliver to meet those needs. Our processes are driven by best practice. Our team are experts in their respective fields. We have not reduced costs by cutting corners. Instead we have focused on reducing unnecessary overhead in our organisation and in the processes that are used to deliver quality. 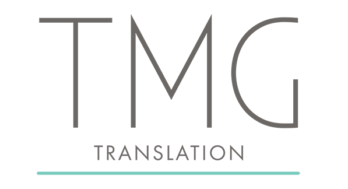 Why not have a look at what we do to see if we can reduce the cost of your next translation project while providing services that reflect your need for the highest standards. If you would like to know more about our services or are interested in getting a quote please get in touch with us. It’s always good to talk!